The relationship between voltage, current and resistance is defined by Ohm's law, and power by Joule's law. These formulae can also be conveniently placed in a formula wheel. Just use the relevant ones for your calculation. Enter two values to find the other values. 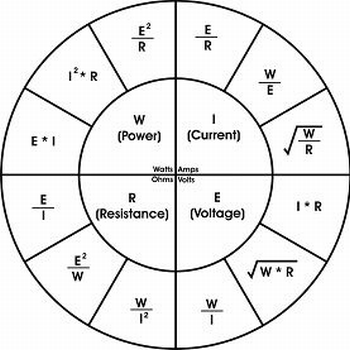 Enter resistor values to calculate the total resistance. Enter any two of the following values to calculate the third.